When I wrote about the Istanbul Jazz Festival recently, I commented that following Mozart, jazz had appropriated Turkish music – in the form of Lennie Tristano’s “Turkish Mambo”, Dave Brubeck’s “Blue Rondo à la Turk”, and Pete La Roca’s Turkish Women at the Bath. Turkey, with its population of 80 million people, is situated between Europe and Asia, and draws on both in its cultural heritage. In Istanbul and other centres, it supports a thriving jazz scene. Apart from the work of Okay Temiz, however, Turkish jazz isn’t well-known outside its own country, at least to US and European audiences. But while at the festival, as well as listening to some of the distinctive sounds of Turkish jazz and related genres, I met some experts on the music who also helped open my ears. 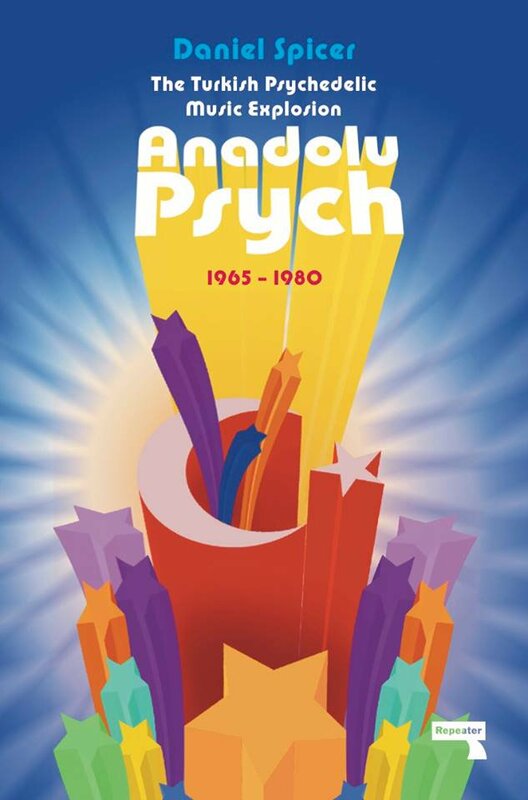 One of those was Daniel Spicer, whose book on Anadolu Psych began as a long feature in The Wire magazine on Turkish psychedelic music of the 1970s. You might find this a niche area, which it is – and Spicer wasn’t then an expert on it. But he says in the preface that in researching the article and the book the music he discovered “was a major revelation, a whole world of hitherto uncharted sounds”. He also discovered enough interest in these perhaps unlikely musical genres to secure a book publisher. Spicer stressed to me that Anadolu Psych isn’t an academic tome. But I think what he meant was that it doesn’t have footnotes, or an ungratifying, technical style – and indeed the result is stylishly written with a light touch, skilfully negotiating the interweaving currents of music, culture and politics. The book covers the era from the mid-60s to the military coup of 1980, which resulted in several years of repression. It’s true that most of the material in the book, on psychedelia, prog rock and folk music, doesn’t have much of a jazz connection. But the book does include what must be one of the best accounts of Turkish jazz in English, focusing initially on the career of Okay Temiz, undoubtedly a jazz musician, whose work with Don Cherry produced some of the liveliest early examples of jazz-inflected world music. Temiz, writes Spicer, had a “zealous drive to meld contemporary jazz with the contemporary influences of Turkish folk and classical music”. Probably the high point of his career was the trio with Cherry and South African bassist Johnny Dyani, formed in 1971; the trio Music for Xaba, in which Cherry was succeeded by Mongezi Feza, pushed further into free improv. He then moves forward to discuss 21st-century group Konstrukt, inspired by American free jazz, especially Sun Ra. The group’s guitarist, Umut Çağlar, comments on the country’s change of direction, as recent Islamist governments encourage admiration of the Ottomans, while underplaying the Western-inspired republicanism of Ataturk: “Some wouldn’t call it a positive direction … But now, as a musician, I feel … much freer to do whatever I want”. That’s a positive take on turbulent recent developments, on which Spicer has acute insights. As well as being intelligently and stylishly-written, his book is attractively produced.